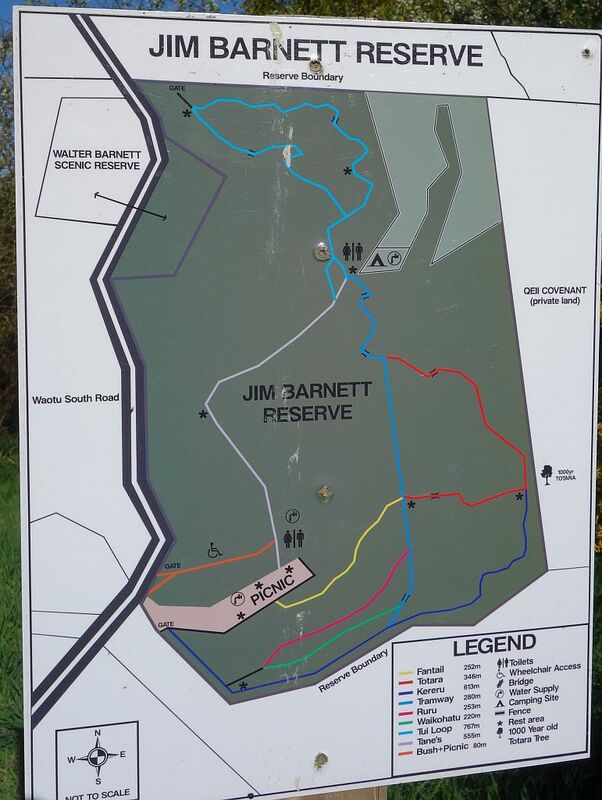 The Jim Barnett Reserve is located on Waotu South Rd. The Waikato River Trail passes through the reserve. There is a picnic area and a campervan parking area by the entry to the reserve, and a camping area with no vehicle access inside the reserve. There are basic toilet facilities at the picnic area, and within the reserve area. The walking and cycling tracks are reasonably well marked. All work in the reserve is done by volunteers, so some signs may not be always be kept updated or replaced when damaged. Unfortunately this reserve is no different from other locations where vandals take pleasure in defacing or damaging signs. 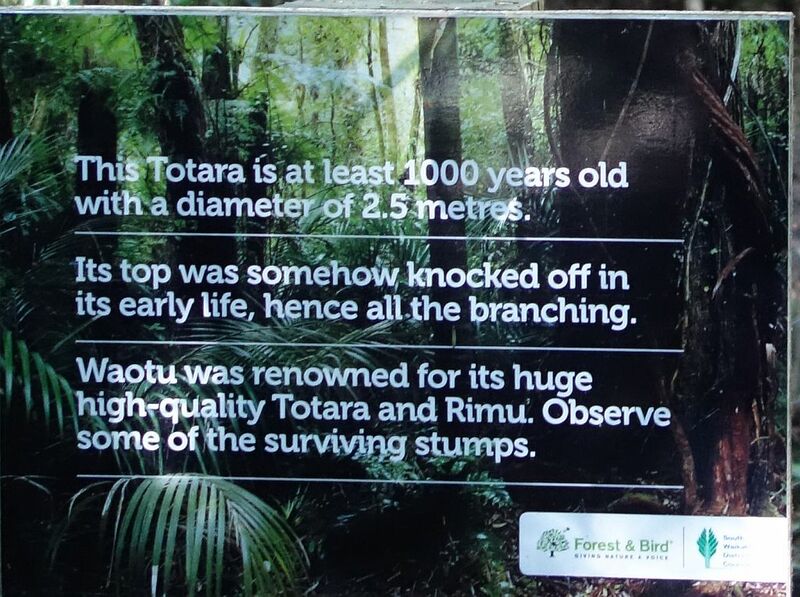 The forest was milled about 100 years ago, but fortunately some larger trees were left untouched, Including a large 1000-year-old totara which was not suitable for milling. Tramlines are still visible, although all trace of sleepers and rails are long gone. Apparently the rails were made of wood. It’s not possible to traverse all tracks without retracing your steps in several locations. Total track length is probably close to 4km. I walked more than 6km, but that included part of the cycleway outside the reserve boundary. 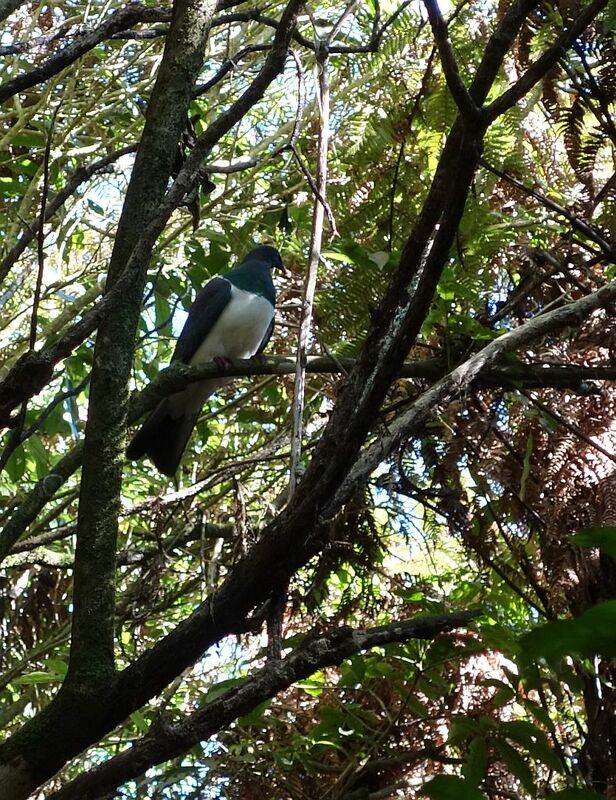 The reserve has an active bird life, and there was birdsong during most of the walk, including tui and kereru. Also a couple of peacocks were spotted at one point. 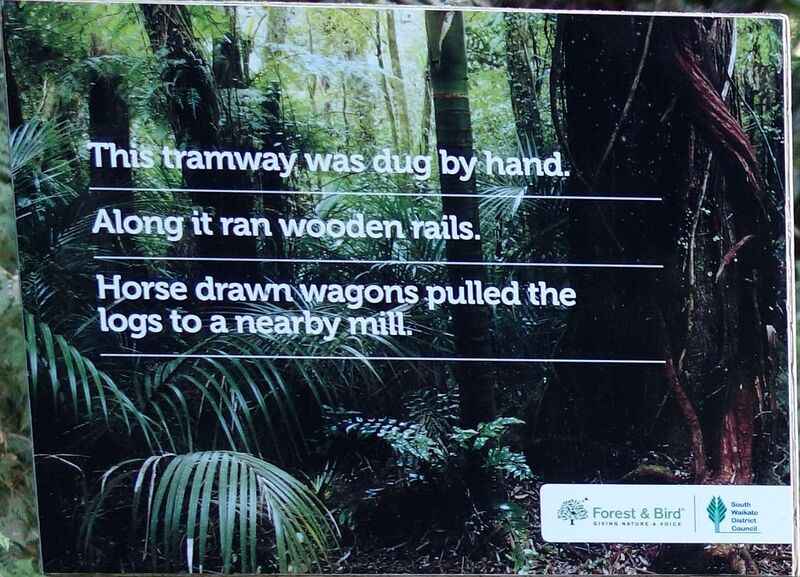 The walking and cycling tracks and other items of interest are shown at the entrance to the reserve. The long straight tramline is obvious on the map, and it can be clearly seen on the tracks. 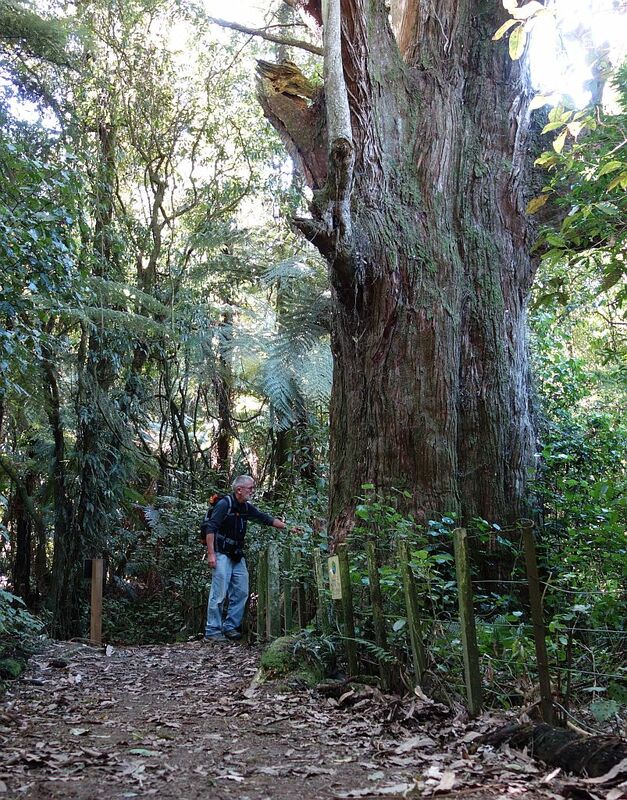 Next to the totara track there is a large and very old totara tree. 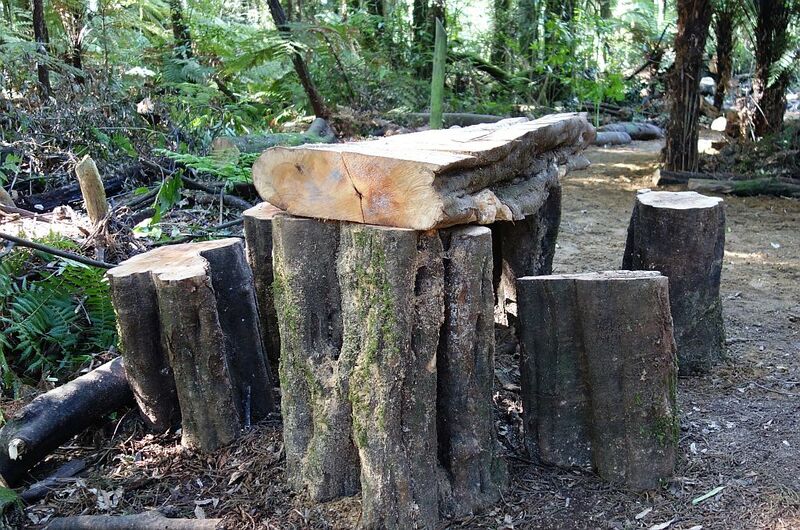 A very simple picnic table with seats, probably made by volunteers clearing a few trees to make way for a new track. 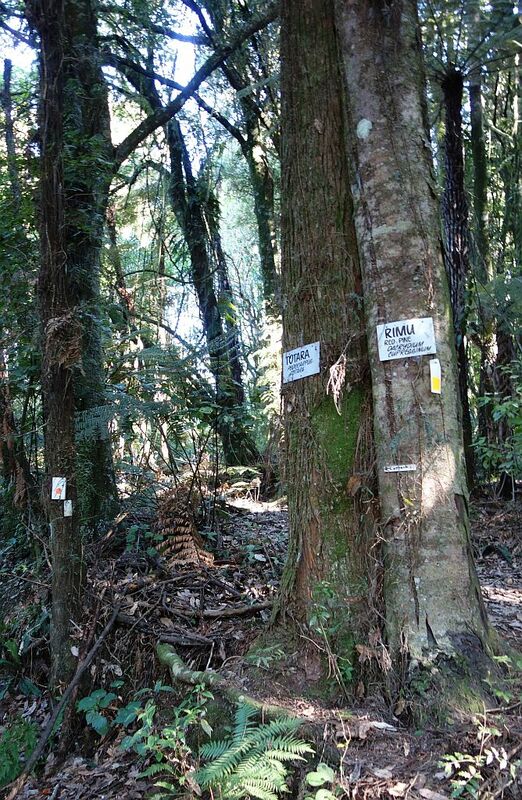 A rimu tree and a totara tree vying for the same space. Many of the plants have identifying tags, including many of the later plantings on the edges of the reserve. Some of the earliest plantings are now approaching 20 years old. One of the kereru decided to check out who was disturbing its peaceful existence. The track was walked on September 7, 2014. 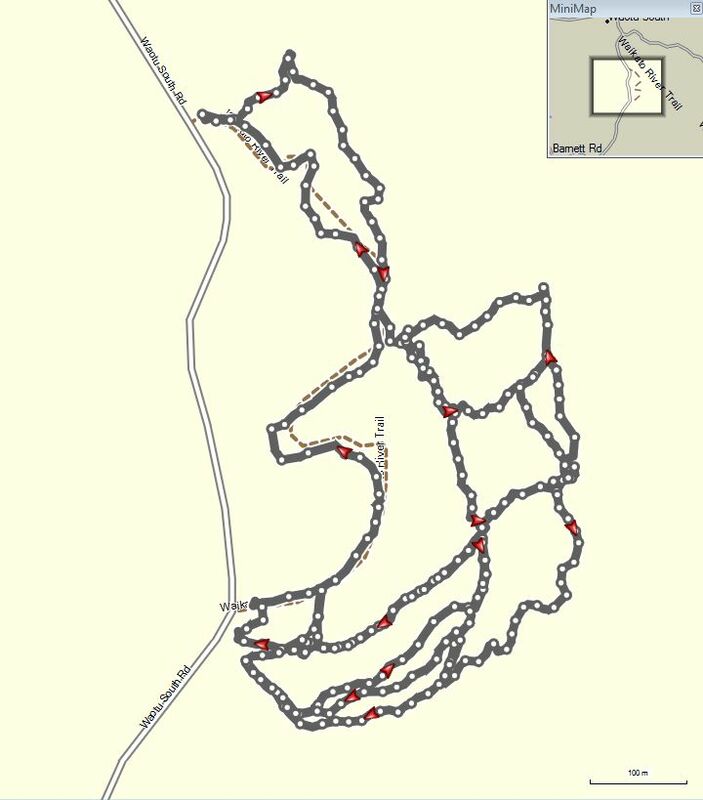 The GPS track log looks rather confusing, as there are many interconnected tracks to walk. 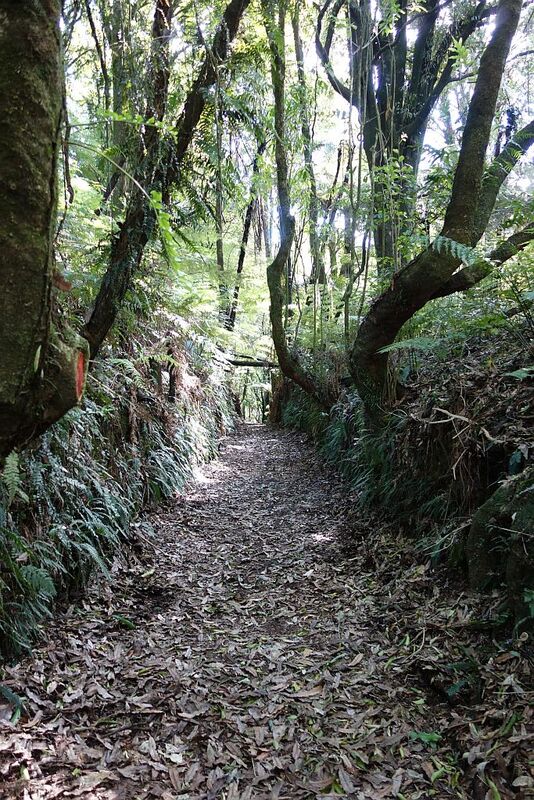 This entry was posted in Walks and tagged Jim Barnett Reserve, Waikato River Trail, Waotu on 2014-09-07 by nzartig.